Reitnau (pronounced ‘right-now’) is a small hamlet northwest of Lucerne in the canton of Lucerne, Switzerland. For 50 years they have had an organized hill climb race. 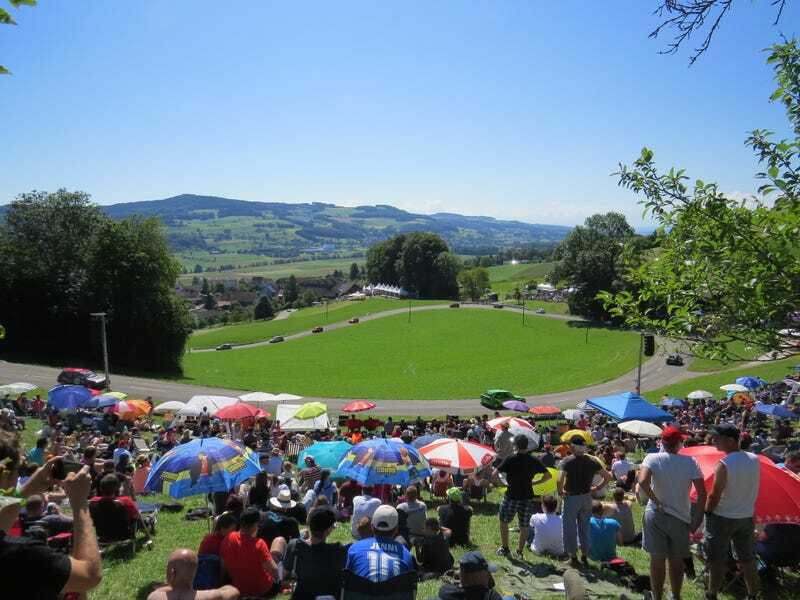 It is basically a weekend motorsports festival solidly grounded in grassroots motorsport. It is rare to be able to attend a more well organised event that gets you closer to the race cars at full chat than a Swiss hill climb.